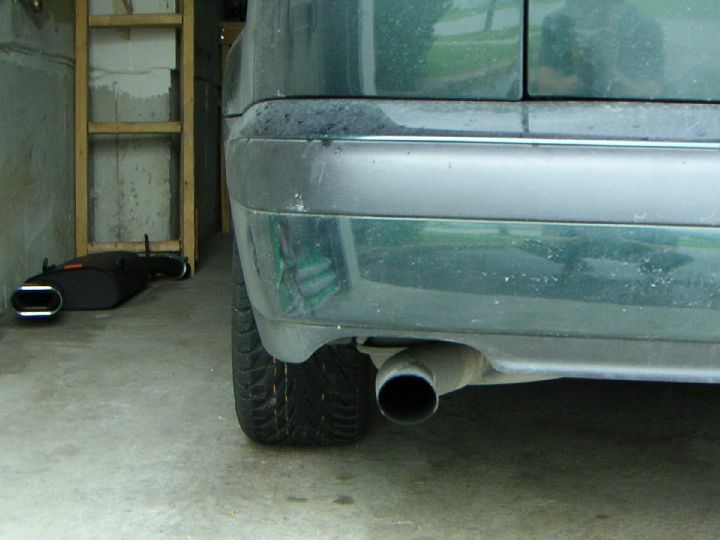 This is how the old exhaust looked like. Functional but boring. My car needs a washing too.